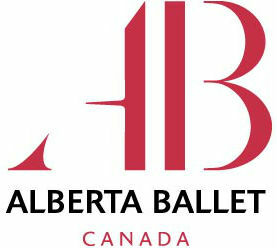 Momentum Health is the official medical team for the Alberta Ballet Company and the Alberta Ballet School. The strength of this partnership will support Alberta Ballet dancers and students in achieving the highest technical mastery of their craft! Services include physiotherapy, chiropractic, naturopathic medicine and massage therapy. Momentum Health’s practitioners have a wealth of experience treating dancers and also offer free dance education to dance studios in the surrounding communities. For more information, please call any of our Momentum Health clinics. Momentum Health is the Official Physiotherapy Partner for the Gymtastics Gym Club. Our physiotherapist onsite and at our Mission location brings a history in high level gymnastics and dance to guide these young athletes through their athletic pursuits using physiotherapy principles and nutrition guidelines from the IOC. Supporting in our community is important to us. The Calgary Women's Emergency Shelter is a Charity of Choice for Momentum Health, Evidence Sport and Spine and Innovative Sport Medicine. came forward to specifically tell us of her great success in receiving physiotherapy after a concussion. With two locations in the city, BraTopia’s purpose is to ignite self-love and empowerment in women. They aim to provide women with the unique support required, whether for post mastectomy fittings or for upscale swimsuits. Follow us on Social Media to see when and what our next lecture will be on site in the West Springs BraTopia location. Do you have your Red Card? The Calgary French & International School is a Charity of Choice for Momentum Health. CFIS is a UNESCO Associated School. Students’ days are rich with learning experiences, from languages and sciences to sports and the arts. CFIS students are also encouraged to develop their intellectual, physical and creative potentials to become caring and self-reliant young citizens who contribute positively to the world.